Buy online our clothing and fashion fabric Geometrico 003-01. Jacquard cotton blend fabric, characterized by geometric pattern of diamonds alternating with squares in shades of black, ivory, copper. 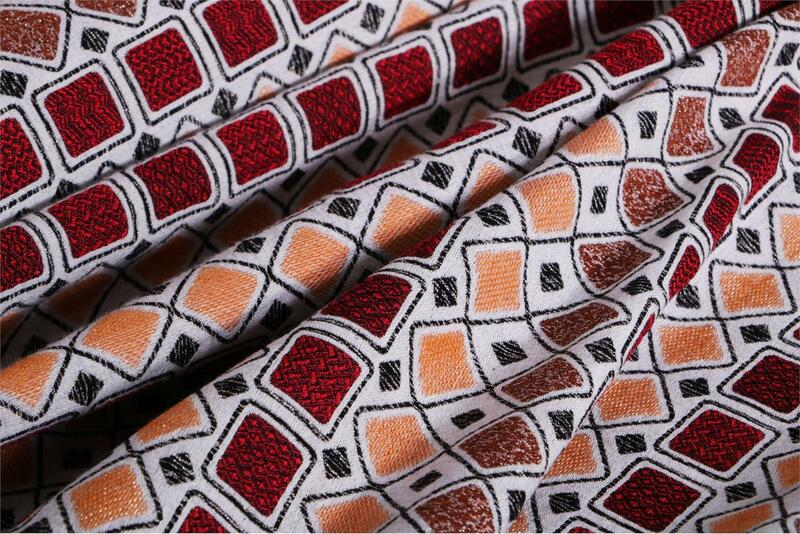 Black, Orange, White Mixed Geometric Jacquard fabric for Jacket, Light Coat.